It’s been a goal of mine to write fiction ever since I realized how fun ink-slinging was. This week, I took a step in that direction and tried my hand at writing a short story. It was a lot of fun, I can tell you. Michael Wright was kind enough to feature it as a guest post on Novel Idea, so if you’re interested, you can click here to read it. Thoughts, opinions, and critiques would be greatly appreciated (I particularly curious to know how the ending affected you). The story is, first and foremost, bizarre. And that’s part of the fun of it. It’s based on a tale that I heard while at a rendezvous one year. It intrigued me, and I wanted to see if I could take a few brief sentences and make a full-fledged short story out of them. I altered certain details and added new ones altogether, but the basic premise is the same. It is hard for me to believe that in one lifetime I have written so many stories. But on the other hand I often wonder what other writers do with their time. Writing, for me, is akin to breathing. It is not something I plan or schedule; it’s something I just do. The Great Commandment (Pt. 7) – From Michael Wright. Reel Quick – Click here to read my review of Michael Mann’s Public Enemies (2009), an excellent, thought-provoking entry into the pantheon of gangster films. Zombie Feminism and Prudish SlutWalkers [Caution: Mature] – An excellent article from The Freeman blog. Review: The Help – Movieology reviews the recently released film The Help. If you’d like a review of the book it’s based on, click here for Thabiti Anyabwile’s thoughts. 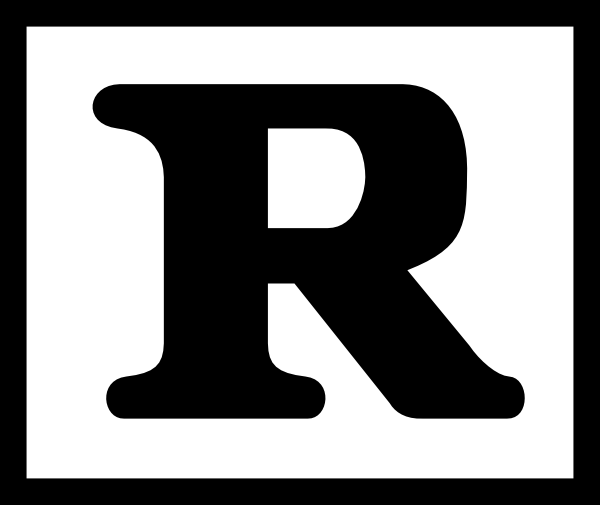 “Garment-rending and other external signs of religious emotion, are easily manifested, and are frequently hypocritical. True repentance is far more difficult, and consequently far less common. Unsaved men will attend to the most multiplied and minute religious ceremonies and regulations – for such things are pleasing to their flesh. But true godliness is too humbling, too heart-searching, too spiritual for the tastes of carnal men! They prefer something more ostentatious, flimsy, and worldly. External religious rituals are temporarily comfortable; eye and ear are pleased; self-conceit is fed, and self-righteousness is puffed up. But they are ultimately delusive, for at the day of judgment, the soul needs something more substantial than religious ceremonies and rituals to lean upon. “Apart from vital godliness – all religion is utterly vain! When offered without a sincere heart, every form of religious worship is a solemn sham and an impudent mockery of the majesty of God! “Heart-rending is divinely wrought – and solemnly felt. It is a secret grief which is personally experienced, not in mere form – but as a deep, soul-moving work of the Holy Spirit upon the inmost heart of each believer. It is not a matter to be merely talked of – but keenly and sensitively felt in every living child of the living God. It is powerfully humiliating and sin-purging! But also, it is sweetly preparative for those gracious consolations which proud unhumbled souls are unable to receive! This heart-rending distinctly belongs to the elect of God – and to them alone. Based on historical events that transpired on the Texas-Mexico border in the 1850s, Cormac McCarthy’s Blood Meridian traces the fortunes of the Kid, a fourteen-year-old Tennesseean who falls in with a band of bounty hunters in pursuit of Indian scalps. Eschewing the conventions of the Western genre, McCarthy paints a raw and unforgettable picture of the oft glamorized “wild west” and weaves a bleak but thought-provoking tale of human depravity and violence. Having read and appreciated two other McCarthy titles (The Road, No Country For Old Men), I suppose it was inevitable that I should pick up Blood Meridian, hailed by prestigious literary critic Harold Bloom as “the major esthetic achievement of any living American writer”. Having read it, I can almost agree with that assessment: I still consider The Road to be McCarthy’s finest work, but Blood Meridian is formidable in its own right. I’ve praised McCarthy’s writing before, and I do so now again. His prose is positively breathtaking: elegant yet plain, simple yet complex, fantastical yet earthy. This alone places Blood Meridian head-and-shoulders above the vast majority of contemporary fiction – combined with an authentic narrative and vivid characters, it simply soars. It is not to be thought that the life of darkness is sunk in misery and lost as if in sorrowing. There is no sorrowing. For sorrow is a thing that is swallowed up in death, and death and dying are the very life of darkness. McCarthy’s characters – like all unregenerate men – are hell-bent on pursuing their own wicked path. They are not sorrowed by their actions; they feel no misery over the evil they have done. They are so blind and deadened that they cannot see the darkness of their own hearts. And if they cannot see the darkness of their own hearts, they cannot see the need for Light. 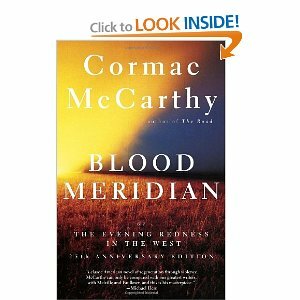 As title and the premise suggest, Blood Meridian is a very violent book – probably the most violent book I’ve ever read. Killings are frequent, hard-hitting, and bloody, and generally calculated to make your stomach turn. That said, it’s important to add that the violence is never sensationalized: McCarthy does not revel in it nor exploit it for entertainment value. He simply presents it to the reader in a very real, matter-of-fact way. And the story is all the more effective for it. Graphic imagery, some crude language, and one brief instance of implied sexuality go hand-in-hand with the violence. Quite obviously, this book is suitable only for the most mature readers. Emphasis on the word “mature”. It’s hard to say one loves Blood Meridian. For those who can handle its harshness, however, I do believe it’s worth reading. Beneath the grit and McCarthy’s exceptional prose, it’s a haunting, thought-provoking tale that reaches out and hits you in a way you’ll never forget.